For healer John Marino, a diagnosis of rheumatoid arthritis became a lifelong career. John turned to massage work, yoga, and body balancing with the vision of becoming well himself. Once he realized the healing potential of these arts, John began helping others through classes and sessions. To this day, he pursues personal wellness and helps others along the way. Previously a hospital administrator, John lives his life in a straightforward fashion, with a great deal of humor and irony. He does not run away from pain, and instead views it as part of growth. No matter what obstacles he is thrown, John finds a silver lining – a silver lining he instills in his clients. He has a high degree of self-awareness and empathy. John works on a highly intuitive level with a high degree of sensitivity. He provides individualized treatment to his wide variety of clients, and takes a person-by-person approach towards healing. He deeply assesses each person’s areas of concerns and then creates personalized healing plans. John tells me that he can feel in his body what he sees in other peoples’ bodies. It is this heightened awareness that makes John such a skilled healer. John takes a holistic view towards health, often recognizing that the body is not as simple as it may seem. “You can work on a back, but if you don’t look at all the muscles that influence movement in an area, that back is not going to heal. You need to look at the influential elements in a body that are contributing to a problem. Not only is the experience of pain unique, but the conditions creating it are unique,” John says. John lives and breathes his work, a testament to the power of yoga and body balancing to heal and to guide. 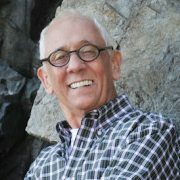 To learn more about John Marino and his work, visit http://johnmarinoyoga.com/.